Savoy have signed a contract with Bergen-based Apollon Records to reissue all their five studio albums on CD, vinyl and digitally; Mary is Coming (1996), Lackluster Me (1997), Mountains of Time (1999), Reasons to Stay Indoors (2001) and Savoy (2004). “We have signed a contract with Apollon to reissue all the first five Savoy albums. This will be the first time they are released on vinyl and on digital platforms”, Paul told Bergensavisen earlier this week. No release date has been set so far, but it appears Lackluster Me will be released first, as Warner in the US has yet to greenlight the reissue of Mary is Coming. “Apollon has shown great enthusiasm for Savoy for a long time and that means a lot to us. It means everything, really”, Paul says on the decision to sign with Apollon Records. 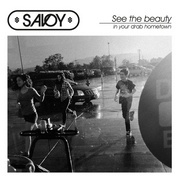 The deal with Apollon does not include the new Savoy album, which will hopefully be released sometime later this year. “The new Savoy album will be mixed now before the summer and has not been signed to any label yet”, Paul says. Paul is also preparing to release the album he’s recorded with Zoe Gnecco. A music video of a song from the album will premiere at the a-ha fan convention in Oslo later this month. 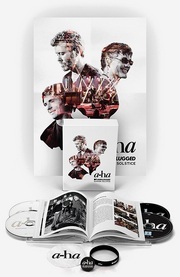 More info on a-ha.com.